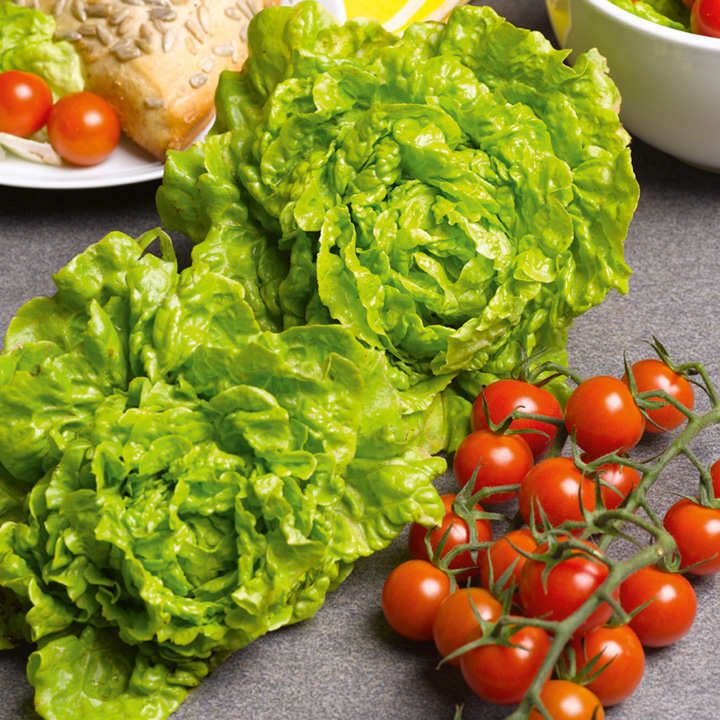 A traditional, small lettuce with crisp sweet and solid hearts. Ideal for small spaces or pots. Row 15m (50'). Sow March-August. Summer butterhead variety. Maturing time approximately 10-14 weeks from sowing. Develops large well-folded heads and succulent creamy-yellow hearts. Sow outdoors from March-August at fortnightly intervals to ensure a regular supply. Sow in rows 30cm (1') apart and 1.25cm (½") deep and thin the plants to 23-30cm (9-12") apart. For over-wintered supplies choose 'Valdor' and sow seed outdoors late August-early September. For growing in a greenhouse during winter choose the varieties 'Rosetta' or 'Valdor'.